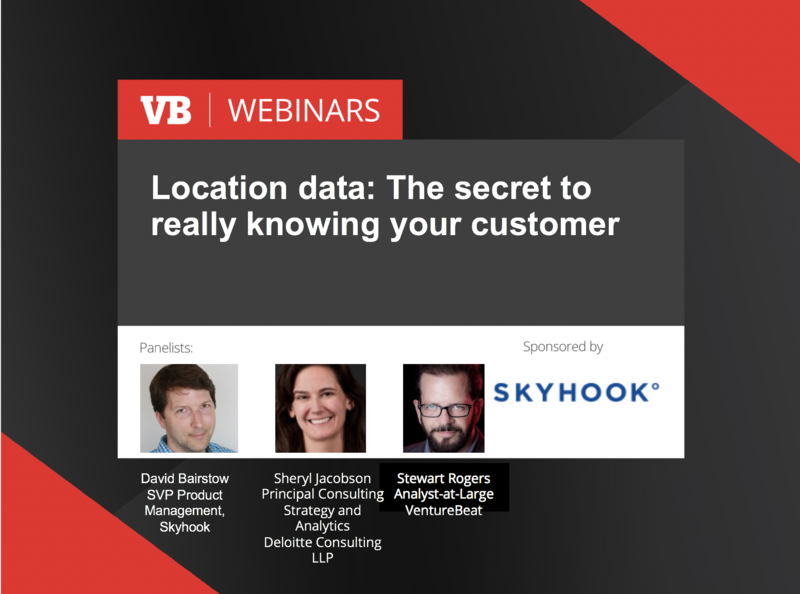 Skyhook recently presented a webinar titled "Location Data: The Secret to Really Knowing Your Customer" which was hosted by VentureBeat. Watch this informative webinar from Skyhook's VP of Product, David Bairstow and Deloitte's Principal of Consulting Strategy and Analytics, Sheryl Jacobson. Learn how location intelligence data and insights help brands deliver dynamic user experiences, better understand their customers and prospects, and boost consumer engagement. Click here to view the webinar in its entirety. Fill out the form to download a copy of the slides.